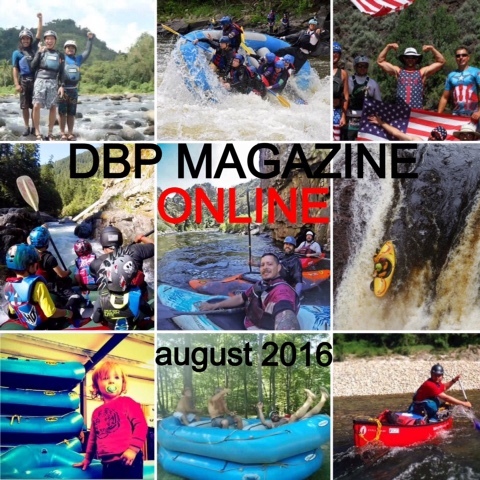 AUGUST 2016 ~ COVER: Happy 3rd Birthday DBP! Our Rivers, Our WorldIssue. by Mike Toughill and THE RIVER WARRIOR FAMILY STORY! 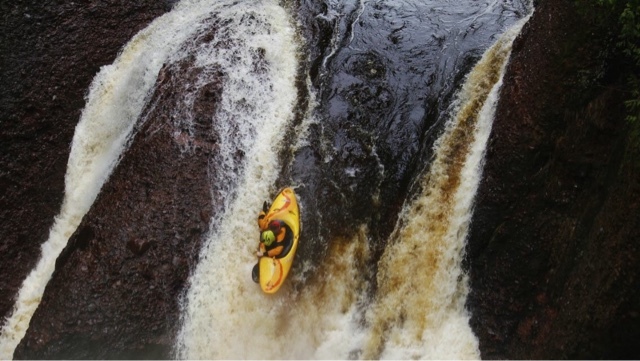 by Paul CEckel | DBP MAGAZINE ONLINE The World's Best Free Whitewater Publication. Fast forward to now. August 11th will mark three years to the day that I opened the page with a post from our Ohiopyle shenanigans. DBP has become a worldwide phenomenon. We’ve assembled 150 Admins from 30 countries and every discipline of the community to bring you whitewater entertainment, which has led to 14,000 members and counting on that Facebook page with such humble roots. In November 2014 we rolled out this Magazine and an Instagram account days before Thanksgiving, to thank everyone and give even more back to the community for all the love given to us. 5800 followers on Instagram later, and over 163,000 reads from nearly 200 countries, and all I can say is, THANK YOU EVEN MORE! The One Love One River Philosophy continues to fire and inspire me and everyone at Dirt Bag Paddlers each and every day! We decided to really fire up our Birthday celebration with a bang by dedicating our entire August magazine to the rivers around the world that we call home. The “Our Rivers, Our World” issue is filled with stories by the DBP Admins. 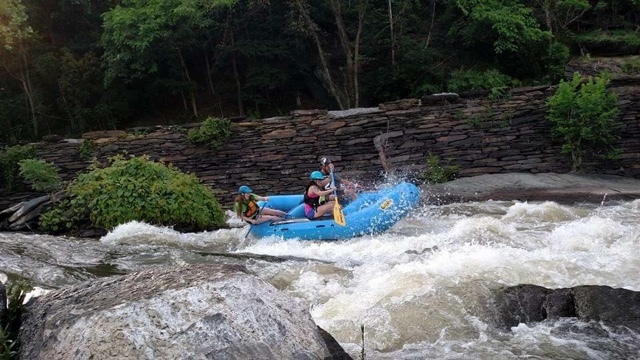 Look for stories from the Ocoee, Ottawa, Yough, Gauley, Wolf, Pigeon, Payette, New and more as the month unfolds. The Editorial Staff thought, “what better way to get things started than with a collage cover of photos submitted by our friends in the community?” We wanted to thank all you Dirtbags from around the world for pitching in to help us celebrate our 3rd birthday by submitting your photos that helped us create the cover for this month’s DBP MAGAZINE ONLINE! Everyone who submitted photos will be mentioned at the end of this story, and they all got a free limited edition DBP WALLACE decal for their effort. 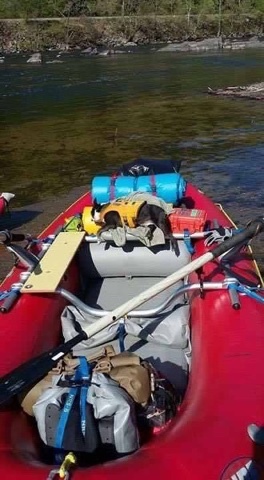 And one lucky person’s name was pulled from the hat to win a prize package from our friends at Cascade River Gear and a “TOTALLY DIRT BAG” shirt from Relise Designs. That person was Mr. Paul C Eckel of the River Warrior Family in Oregon. 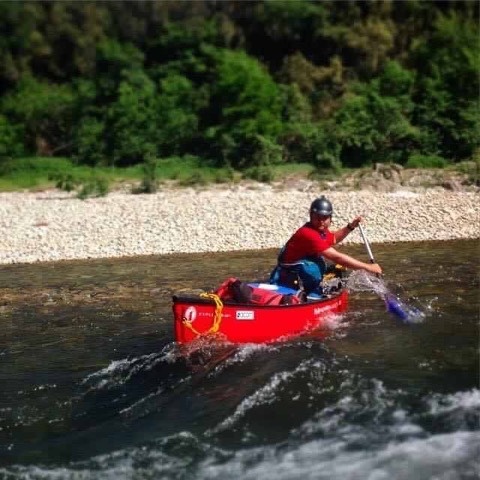 We asked Paul to tell us a bit about the passion for The River that he has, and that he has instilled in his awesome young family. We’ll turn the stage over to Paul. Everybody loves a good story, right? Find that nook in your piece of this world, have a seat with your favorite tasty beverage, and read the story of the River Warrior Family. To even begin to understand who we are, you will have to visit some Class VI waters that may remind you of carnage long forgotten. The River Warrior Daddy was an orphan from the rough streets of Bogota, Colombia, brought to the United States in less than desirable conditions at the tender age of 18 months. At the age of five (Sweet Petunia’s age now) he remembers wiping his own blood off the bathroom tiles and taking a pocketknife to his wrists. Yes, at age 5, I made a conscious decision to take my own life. As the skin began to break, I had a thought in the home that resided in the “Poet Section,” off a road named Keats, “I will not let these animals beat me. One day I will be 18 and be able to make all the rules.” There is where my “birth” as a father began. To survive, I lost myself in a fantasy of what it would be like to have a father who loved me and I projected this ideal on myself and dreamed of “being this father,” to my own children one day. The State eventually declared the home “unsafe” and my journey into Youth Shelters and Foster Care began at the age of 14. I saved up some money and would ride my Trek Road Bike 15-50 miles a day and many times road 15 miles “one way” to listen to the water pour over some rocks, at a small creek, that was not more than 20ft wide. I was drawn to the water. 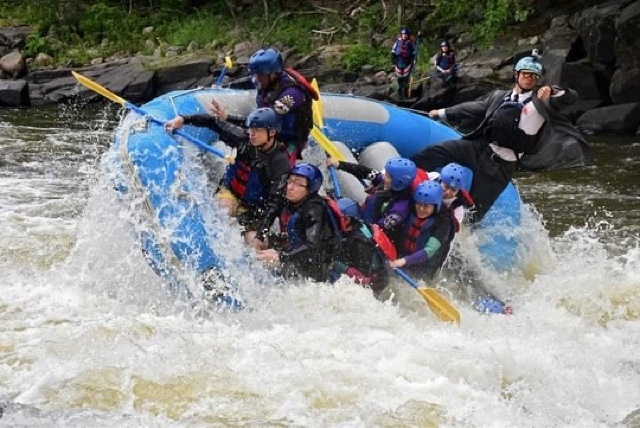 In college at Lee University, the Athlete Dorm (Medlin Hall), would go whitewater rafting on the Ocoee River once each Spring Semester. There were six of us on the day that would eventually define my journey into the Liquid Kingdom. 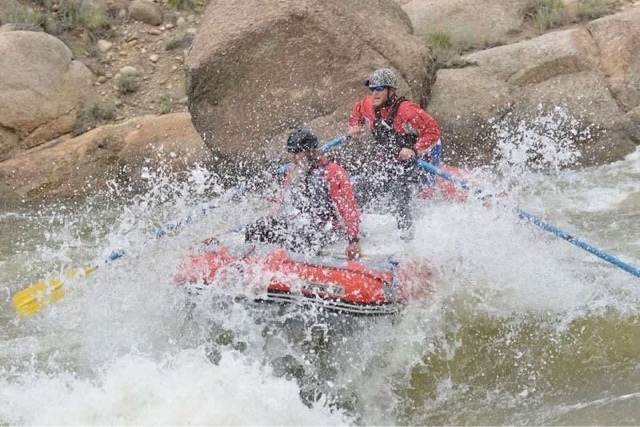 The Guide came up to our crew and we shouted with the hearts of young men, “WE WANT THE CRAZIEST RIDE YOU CAN GIVE US!” He looked us over and said all casual and river cool, “You sure that is what you want?” We shouted even louder and his response exuded a smoothness I have seen in very few, “I can do that.” We went on the craziest “Commercial” run I have ever been on to date. 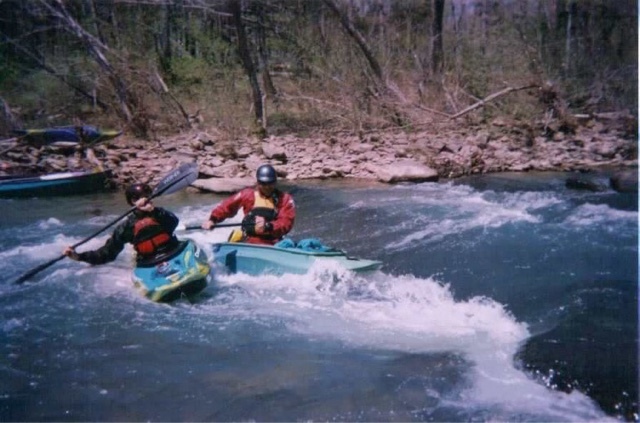 We had the time of our lives and he made sure we enjoyed much “Carnage.” Right then and there I knew the whitewater would one day be as natural to me as breathing. As the current of years passed, I did not live near the thundering whitewater. I once walked in the Garden of the Gods in Colorado Springs and asked my aunt what it would take to climb there…she told me with absolutely certainty that “only” professional rock climbers were allowed. I told her, “One day I’ll return to climb there,” she scoffed at my idea, and we continued our “tourist” visit. I ended living in Colorado Springs for many years and spent 5-7 days a week climbing in the Garden of the Gods and would do so with my boys. Uno’s 1st ascent of “Cowboy” was at the age of 6. I have spent my life doing this very thing many times over. People tell me, “You cannot do that,” for no good reason, other than that they are simply “afraid” of such an unknown or believe that “only” professionals venture to such heights. But where did the “professionals” begin? I was left homeless, without a car, bank accounts emptied, and without my four beautiful children on April 1st, 2013. As I went for the “Spiritual Swim” of my life, when I could come up for air, I pursued my birthright as a Father with tenacity few will ever understand. I had spent 7 ½ years in the United States Army, followed by four years with an Other Government Agency in the “High Threat” Diplomatic and Asset Protection Program, with 15 Tours between Iraq & A-Stan…yes, I was a new creature—For better or worse. I had a Great White Shark for an attorney, and I felt in the raging rapids of my life “God” ask me to do the improbable and impossible…dismiss all litigation and move to Roseburg, OR from Colorado Springs to start life over. I obeyed and many just watched me endure. 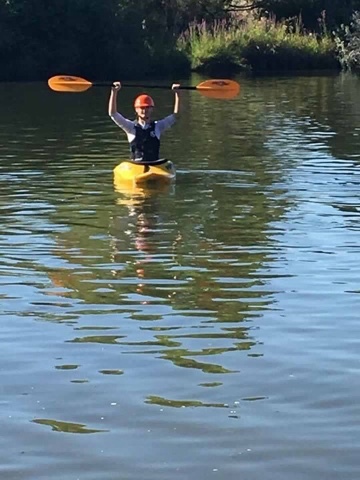 I sent out an email to a select group of brothers from the C*A and within a couple of weeks had a few thousand dead presidents to paddle my way to the Pacific Northwest in August of 2013. Redeemers Fellowship hosts an annual Family Camp at Horseshoe Bend Campground. In June of 2014 I brought my Seahawk II to the Thundering Waters of the North Fork’s most commercially run section of whitewater. 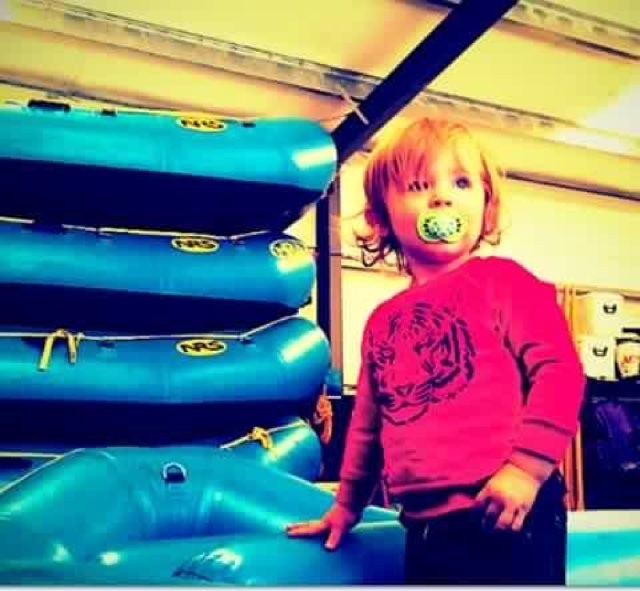 This is a story for another day, but on that day the term River Warrior was born. Uno, BG and myself carry the triumph and lessons learned the “old school” way, into all our runs, as the River Warrior Family. We regrouped and discovered Colliding Rivers in Glide, Oregon. This eventually became our “Hang Out Spot,” and we would run the rapid 9 times in a couple of hours, and just play on the rock beach. We did this the entire summer of 2014. 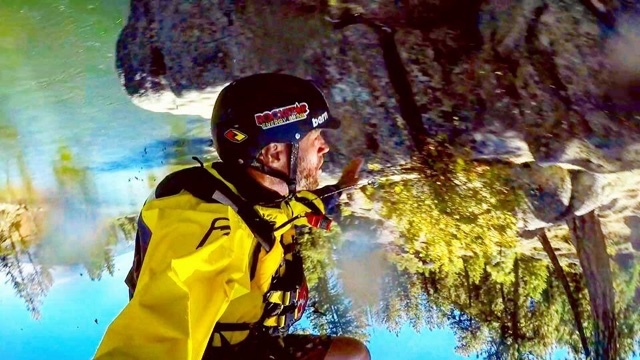 I would form a team and finance our way to the King of the Rogue 2014 Competition for the R4 portion (Umpqua River Ninjas). 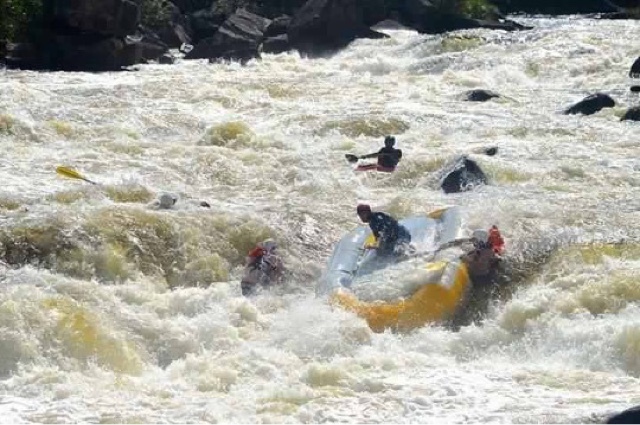 I started to watch nothing but whitewater rafting videos on YouTube. I would spend 5+ hours a day analyzing exactly how they ran the rivers. I looked at every possible raft to find out what would work for our family. 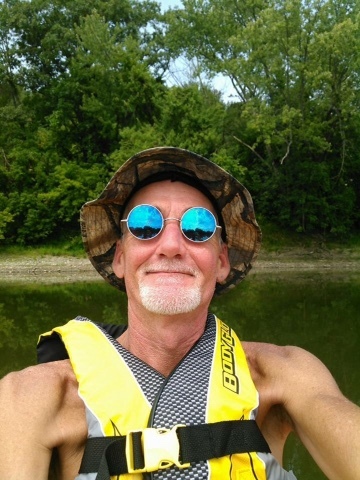 (A dude out east, Snowman John, was running a 9’6” Saturn Raft on the Gauley. 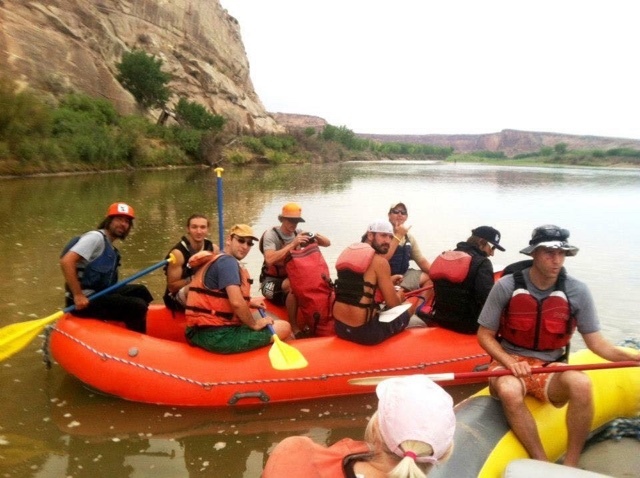 We needed a “Self-bailing” raft to return to the place that gave birth to our River Warrior Family name. 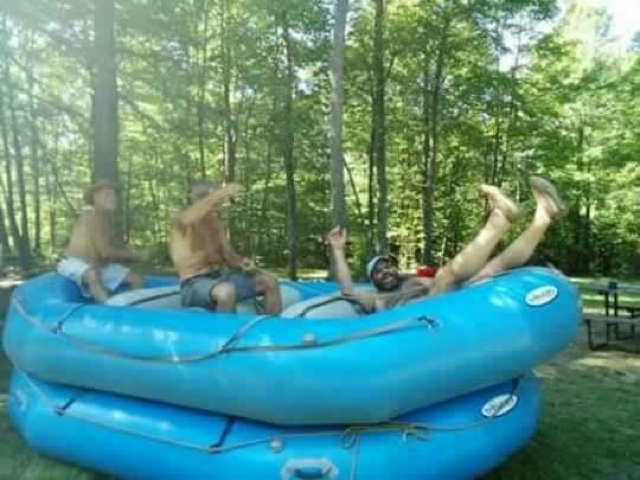 I saved up money and the boys picked out the color and BG asked the critical question, “This raft has holes right?”) Remember my stint with the OGA, I wanted to go to the next level in that line of work, but my times for the various weapons qualifications was a bit slow (.5 of a second too slow). I discovered that I was left eye dominant and the Program Manager said, as a joke, you could always learn to shoot Left Handed. Eight months later, after hundreds of hours, and at least a 100,000 rounds I was, in fact, faster with my left hand than I had ever been with my right. I am an Athletic Performance Coach and analyze Biomechanical Efficiency daily. I obsess about something on a level that is truly unhealthy and that is where I just begin. 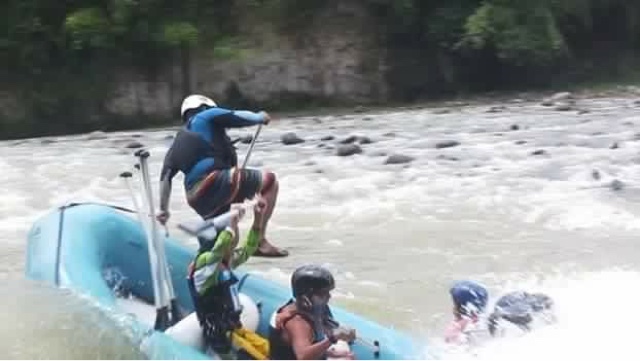 The children became addicted to the rapids and could not get enough of the river. It dawned on me a few months ago; our raft is a bounce house that moves over incredible water that splashes over our bodies. If properly introduced, what child would not love that?????????? I am a father, with wild love for my children. 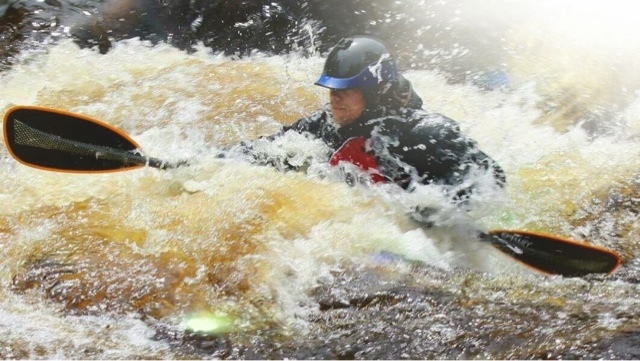 The whitewater heals almost any emotional pain and offers a freedom that only those who venture into those gorgeous turbulent waters will ever understand. 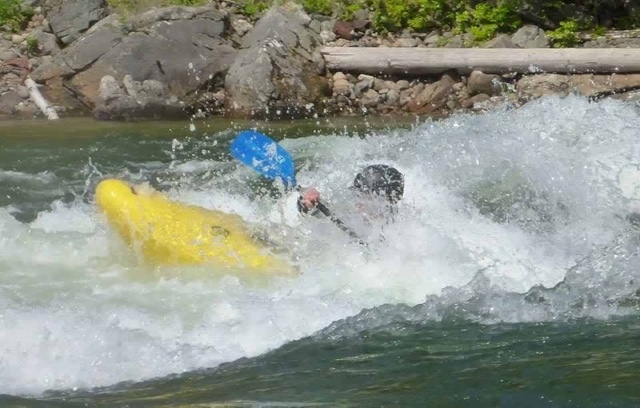 I have been asked many times what brought me to Roseburg, OR and my answer has been the same, “A series of unfortunate circumstances, but the river has been my salvation.” I have been accused of being an Adrenaline Junkie with a death wish. My response has always been the same, “I am not an adrenaline junkie. The river is pure, it is honest, and free to everyone. 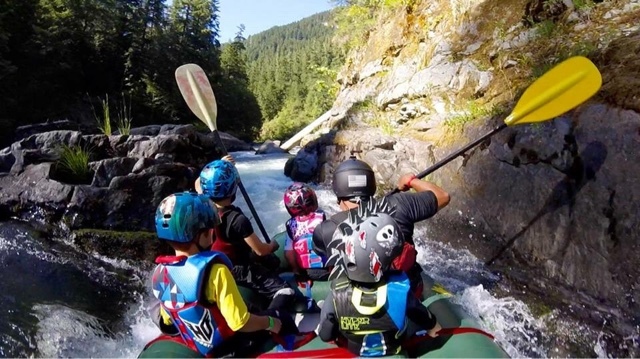 There is a lot of fun in those waters, if you respect the river, have the right gear, and develop the skillset to enjoy the Liquid Kingdom.” I have been told that I am being reckless with my children. 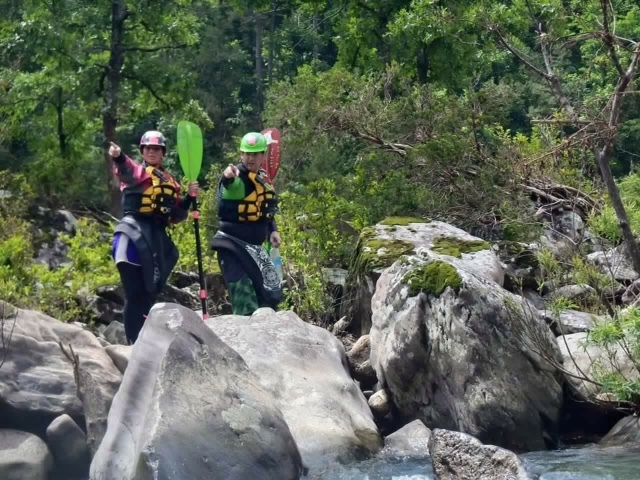 My response has been the same, “I am a Swift Water Rescue Tech, EMT with the State of Oregon, Compete at a National Level, and apply the same discipline to all our runs as I did when I was operational for the US Gov., the difference now is that I get to apply that skill-set for my children’s benefit, as we venture into the Liquid Kingdom. All the children are trained in Swift Water Rescue and a Safety Brief is given before every run and before every significant river feature. I started a highly disciplined unit from birth and obedience is taught as a fact of life, not for my benefit but for my children to enjoy life. I have thanked my children every run and tell them, “Because you are such good children [who listen and obey exactly what I tell them to do] we can do things that most families cannot even dream about doing because, well they are normal children [who generally do their own thing and do not listen to their parents].” The lessons we have learned on whitewater cannot be put into written words here and would require a book. I do know that the river has given to our River Warrior Family more than we could ever give back. Our goal has always been to live life to its fullest capacity. for the reward and joy they offer. Can you hear the laughter from my children fill the air, as we explore what many people told me could not be done? We want more families to get out in the river and enjoy the whitewater, and if we can inspire anyone to overcome the “Carnage of Life” and find healing in the rivers…all the better. God Speed & C U Down River. awesome crew to love and be a father 2. 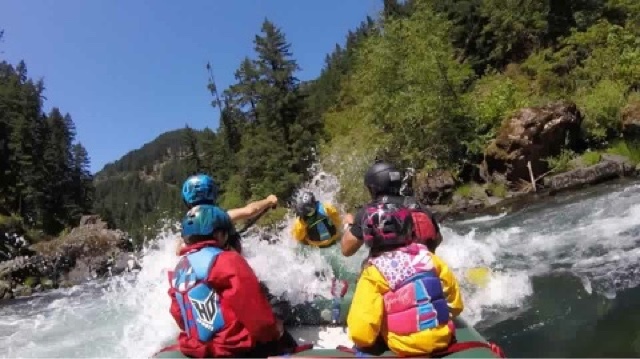 ORT (Oregon Raft Team) – inspiring our family to pursue the dream of beating you one day! Now THAT is what it’s all about! Passion!! Right on River Warrior Family! You are most definitely Dirtbag to the core! Thanks again to everyone for sharing their love with everyone! Rep those custom decals WITH PRIDE! We’ve got a few more surprises in store for the Birthday, so stay tuned… I’ll give you a few tidbits. 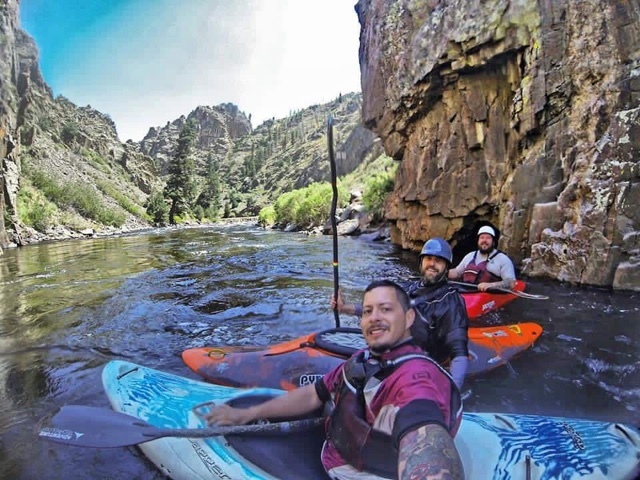 One is, look for Dirt Bag Paddlers to roll out a Snapchat account on the big day… And the Colorado Dirtbag’s are in for a mega treat, when Aaron Erdrich hosts our Birthday Bash at Gore Fest… Details coming on our Facebook page! 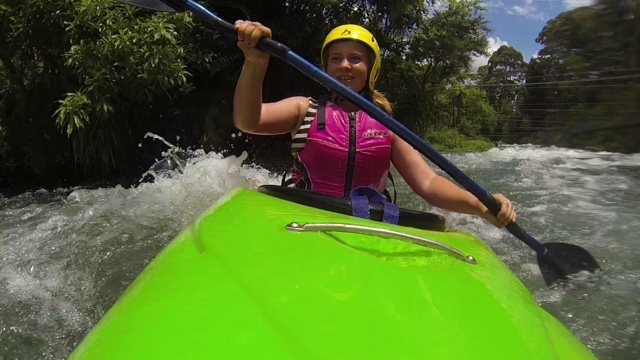 Some of the best faces of kayaking. Happy Anniversary!